"The Premier League said in a statement: "Bolton Wanderers submitted a discussion paper detailing ideas concerning the restructuring of the Premier League into two tiers with the inclusion of Celtic and Rangers. "The clubs welcomed the additional input into an ongoing process, however, they were of the opinion that bringing Celtic and Rangers into any form of Premier League set-up was not desirable or viable. "The other relevant ideas contained within Bolton's paper will now be taken forward as part of the wider strategic review being undertaken by the Premier League since November 2008 with the aim of providing recommendations before December 2010." I tried to pin down Peter Varney on Prem 1 and 2 on Tuesday but he was being a bit inscrutable. Interesting. Doesnt matter to us at the moment unless there is a Prem 3. [cite]Posted By: MrOneLung[/cite]Doesnt matter to us at the moment unless there is a Prem 3. I think you maybe wrong. Will teams be selected purely on league position? And if we are in or out it will still have a big impact on us. [cite]Posted By: Henry Irving[/cite]I think you maybe wrong. Will teams be selected purely on league position? Will prem 1 & 2 result in no relegation from the 2nd level? That was Gartside's intentions. The fact that this takes longer to consider than the Old Firm joining just goes to show that they will never ever play in an English league. Don't think this all matters. I suspect there will be a European Super League set up within the next 10 years. Rangers & Celtic along with 'big 4' from England will all be part of that (greedy b'tds). But why would Rangers and Celtic be in the European Super League ? There are plenty of teams with big support throughout Europe. [cite]Posted By: MrOneLung[/cite]But why would Rangers and Celtic be in the European Super League ? Who the [email protected]@k is Gartside suggest no promotion to or relegation from this mythical league? Back in the late 80's and early 90's they were a 3rd and 4th tier side. His ideas would prevent anyone outside this group ever doing a 'Bolton' again, clearly a case of pulling up the safety ladder and damn the rest. Can't see the top 20 wanting to dilute their share of the feed to another 16 clubs to be honest. 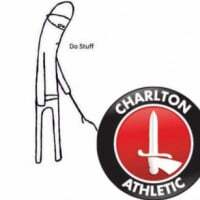 Still if it happens and should $ky decree it then Charlton must be involved- we are definately one of the bigger clubs in the land, definately in the top 36 in terms of size and supporter base. The next few years are crucial to the clubs history. I agree with Henry it will have a major impact on us one way or another if it were to happen. "Who the [email protected]@k is Gartside suggest no promotion to or relegation from this mythical league? 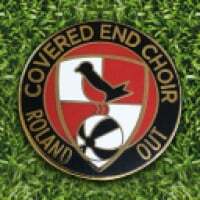 Back in the late 80's and early 90's they were a 3rd and 4th tier side. His ideas would prevent anyone outside this group ever doing a 'Bolton' again, clearly a case of pulling up the safety ladder and damn the rest"
That's exactly what it looks like. He's desperate to get more money for the bottom clubs in the Premier League. It looks a lot like he's worried about Bolton's finances if/when they get relegated (I think it's inevitable sometime soon that they will go down).